Primary users: Royal Air Force, Royal Naval Air Service. 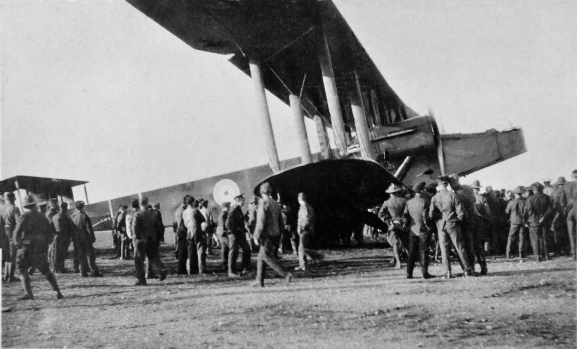 The O/100 (H.P.11) was the original bomber version built for the RNAS. It had two 260 hp (190 kW) Rolls-Royce Eagle II engines. Four prototypes and 42 production aircraft were built. The O/400 (H.P.12) was an improved bomber built for the RFC/RAF. It had two 360 hp (270 kW) Rolls-Royce Eagle VIII engines. 554 were built. The impression made by the Type O was such that for many years after the war, any large aircraft came to be called a "Handley Page" in Britain and entered the dictionary as such. The first O/100s to be deployed to France were received by 7A Squadron of the RNAS 5th Wing at Dunkirk in late 1916. Their first combat came on the night of 16 March 1917, when an aircraft was sent to bomb a railway junction at Moulins-lès-Metz. At first the O/100s were used for daylight attacks, damaging a German destroyer on 23 April 1917 but the loss of an aircraft to fighter attack two days later, resulted in a switch to exclusive night attacks, usually by one aircraft against German-occupied Channel ports, railway targets and airfields. O/100s were also used for anti-U boat patrols off the mouth of the River Tees in September 1917. 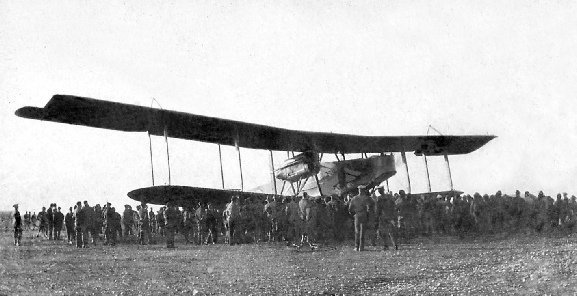 The improved O/400 started to enter service in April 1918, gradually allowing the re-equipment of more squadrons, being used for both support for the ground forces on the Western Front, particularly during the German Spring Offensive and for strategic bombing under the control of the Independent Air Force. The O/400s could carry new 1,650-pound (750 kg) bombs, which were aimed with the Drift Sight Mk 1A bombsight. In service, they were deployed in force, with up to 40 aircraft participating in a raid. The largest aircraft to visit East Boldre.